somewhat younger man of color who is, improbably, the head of state of the Empire. President Obama, though, is circumscribed by his position. He is, after all, the commander in chief of the imperial stormtroopers and drone operatives. He is also an executive fighting a constant political battle with determined opponents in the legislature. He must fight hard even for halfway measures and watered-down compromises. He is also under relentless criticism from a conservative propaganda machine. Every word he says, every hand he shakes, every moment of unself-conscious candid self-revelation is analyzed for signs of incompetence and treason. President Obama who has carried the world's progressive hopes cannot consistently give them voice. Only a religious leader can do that. 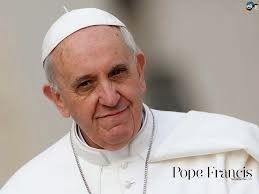 The world has missed the presence of a prophetic Pope for over 40 years. The Reagan-Thatcher Thermidor included a two conservative Popes as well. There was no voice for the global poor and oppressed for years. For a while, the freest voice for change was that of Bono, a rock star. Religious leaders have the mandate to be prophetic voices. On the other hand, they are also constrained by their institutional responsibilities. Among the Unitarian Universalists, lip service is paid to the idea that the local parish minister should sound Joshua's trumpet, but only after the Sunday worship is meticulously (and collaboratively) planned, the staff team built and empowered, and all the secret suffering in the congregation sniffed out and soothed. We say we want bold ministers, but many congregations are an unspoken conspiracy to make their minister nervous. Francis has done his homework. Read Evangelii Gaudium. 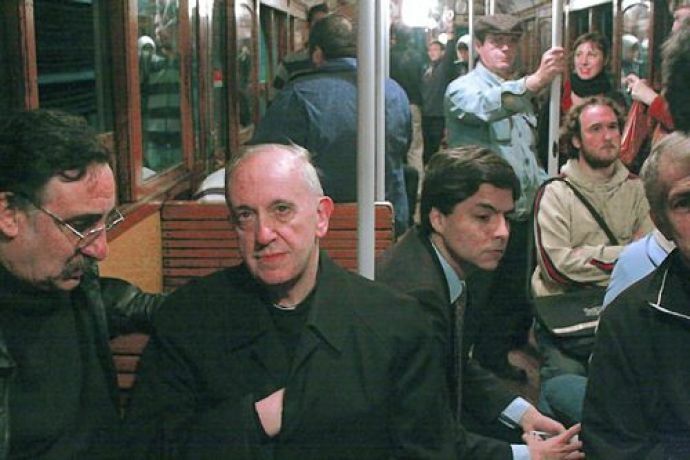 His call for justice comes from both his personal encounter with the poor of a city of 13 million people, and his theological reflection on the dignifying effect of the gospel message when presented to a person at the margins of the global order. The only problem I see with Time's choice of the Person of Year is that it singles out one person out a much larger social movement. What burst into the public consciousness with Occupy Wall Street is still in motion. Francis occupied the Vatican; and low wage workers rally and demonstrate outside of their fast food sweatshops. Get on board, there is a train a'comin. Agree strongly with the thrust. But the old hermeneutic of suspicion sings in my head. If Obama is constrained by the job description of head of Empire and the permanent security state and the warring factions and the gotch journalists, what frees the Bishop of Rome from a different but analagous set of constraints. The "left" of the Roman Church suspect that powers that be have installed a good populist, who will move the bureaucracy out of corrupt practices and conspicuous wealth display but it will all be aimed at managing the multitudes rather empowering the crowd around Jesus to transform the world. If they are right we can expect a great show, but there will still be much work to do, and alas the poor will still be with us.